In this essay about net neutrality, we provide an overview of what net neutrality is and why it is a current political issue. The essay will define net neutrality. Furthermore, it will describe the pros and cons of net neutrality, including reasons that net neutrality is beneficial and ways that it could be detrimental. The essay will discuss the current legal status of net neutrality, as well as the potential future of net neutrality. In doing so, the essay will discuss some figures, including head of the Federal Communications Commission, Ajit Pai. 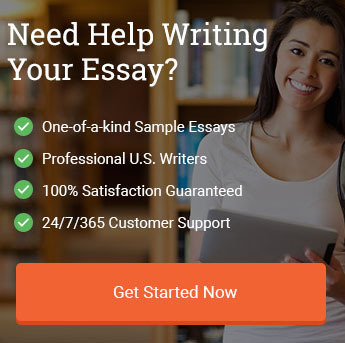 In addition to giving you an overview of net neutrality, the essay will also provide you with an excellent guide for how to write academic essays. It includes all parts of an academic essay: introduction, hook, thesis statement, a body that includes evidence and analysis, a conclusion, and a works cited section. All sources are properly quoted and cited in the essay. Therefore, you will be able to use it as a template in your own academic writing endeavors. 7.1 What is Net Neutrality? 7.3 What is Bad about Net Neutrality? 7.4 What is Good about Net Neutrality? Ajit Pai- Ajit Pai is the controversial chairman of the FCC, who has made it his personal mission to end the concept of net neutrality. While Pai has made efforts to appear hip, he has alienated most of the internet community, including many service providers. Although he may be reviled by some, Pai retains an inordinate amount of power over internet service in the United States. This essay would focus, not only on Pai’s official role, but on some of his personal behaviors that indicate that ending net neutrality is a personal issue for him. The Role of the FCC in Regulating the Internet- The Federal Communications Commission (FCC) is responsible for overseeing several types of communication in the United States, including internet communications. This essay would focus on how it carries out that role and whether it has the power to determine issues like net neutrality on its own. Is Net Neutrality Coming to an End? Would Ending Net Neutrality Really Change the Internet? Can the FCC end Net Neutrality? a. What is net neutrality? c. Why is it bad? d. Why is it good? Net neutrality refers to the idea that Internet service providers (ISPs) should provide equal access to all content and applications on the internet. True net neutrality requires that ISPs treat all types of data the same, without regard to content, website, platform, application, method of communication, user, or equipment used. Net neutrality not only means that ISPs will not block access to certain websites, but also that they will not provide surcharges for access to certain websites or make data transmission speed dependent upon the type of data being accessed. Net neutrality became an issue for the FCC when the internet became a major form of communication. In 2005, the FCC adopted net neutrality principles, but attempts to pass a bill in Congress requiring net neutrality failed from 2005 to 2012. While Congress refused to act, in December 2010, the FCC passed six net neutrality principles and the FCC Open Internet Order, which prohibited cable and telephone providers from preventing access to competitors or websites like Netflix, as well as requiring: transparency, no blocking, a level playing field, network management, mobile rules, and vigilance. Although modified by some judicial decisions, these rules remained in effect for most of the Obama Administration. However, the Trump Administration made it clear that it opposed net neutrality when President Trump appointed Ajit Pai as the chairman of the FCC. Pai opposes net neutrality and began rolling back net neutrality rules in May of 2017. The majority of Americans support net neutrality (Neidig, 2017), which has not only made Trump Administration efforts to roll back net neutrality protections unpopular, but has also led to Pai being considered a villain by many. Although net neutrality may seem like a fairly straightforward issue regarding access to communications, it is actually symbolic of a much more pervasive political issue: who should have more power in American society, the companies that create goods and services or the users who use them? Coined by Columbia University Media Law professor Tim Wu in 2003, the term net neutrality refers to the idea that Internet service providers should be required to enable access to all content and applications available on the internet, regardless of their source, without favoring or blocking particular websites, applications, or products (Wikipedia, 2018). The idea is that the internet service provider (ISP) is paid to provide the user with access to the entire internet, not to act as a barrier to some information. The alternative to net neutrality would allow ISPs to provide preferred access to some users or providers. While different tiered models could exist, tiers could charge different users different amounts for service, charge for different levels of access, or even charge websites to allow users to access them. For example, some service providers slowed or throttled uploads from some sights, including peer-to-peer file sharing (P2P) sites, and sites from competitors like Vonage, Netflix, and YouTube. Under net neutrality rules, the FCC is able to penalize throttling and enforce the user’s ability to freely access the entire internet through an ISP. Net neutrality does not prohibit ISPs for charging more money for faster access speeds, just on discriminating based on content of the websites. On the surface, net neutrality seems like a completely good concept. It makes sense that internet users who have paid to access the internet should be able to use their ISPs to access all of the internet, without the ISP acting like a nanny and restricting or slowing access to some websites. However, there are some arguments that net neutrality could have negative long-term and short-term impacts on communications in the United States. To really understand the net neutrality issue, one has to first looks at the pros and cons. Like many issues in modern American politics, it becomes clear that the debate over net neutrality is a debate between those who control the internet and those who use it. What is Bad about Net Neutrality? According to arguments made by many ISPs, net neutrality has many negatives. For example, ISPs complain that competitor services, such as Netflix, Google Phone, Skype, and YouTube, require enormous amounts of data, slowing access for all of their customers without requiring the paid-for services that these service providers would have used for upkeep and improvement of the hardware and software that they use to provide internet services for their customers. They argue that allowing them to charge higher fees, either to users who use more bandwidth or to websites that transmit more data and use more bandwidth, they would have the resources to build the types of advanced fiber networks that would increase internet access for consumers as a whole (Pogue, 2014). In addition, there is the fact that questionable content, whether it is access to illegal P2P websites or even to dark web sites, is much more difficult to regulate under net neutrality rules. If providers were allowed to block content from these sites, then they could be regulated more easily. Finally, one of the biggest cons of net neutrality focuses on profitability. Currently, ISPs provide free or reduced cost internet services for many people who are considered impoverished. The argument is that, if unable to manage profitability based on who is using the most bandwidth, ISPs will have to focus on other ways of maximizing profitability, including eliminating or reducing access for non-paying consumers. What is Good about Net Neutrality? The pros of net neutrality are far easier to outline than the cons. The internet was created to be neutral, and to provide a way for all users to access all content. The internet was developed with the idea that ISPs should be like phone service providers, providing the same connection regardless of what data you are accessing. Proponents of net neutrality suggest that it protects innovation, by keeping big companies from paying for special treatment and putting start-ups at a disadvantage. More importantly, proponents suggest that net neutrality protects free speech, by prohibiting ISPs from giving preferential treatment to some content, or, worse, blocking or throttling access to other content. Perhaps most importantly, true net neutrality would require reclassifying ISPs from their current classification to something more like a utility, which would mean that ISPs would be required to provide services to any customer willing to pay for them, regardless of credit, type of business, or the user’s assets. Implementing the Restoring Internet Freedom Act will probably not have immediate consequences for internet consumers. In the fact of consumer and voter protests, ISPs have been very adamant that they will self-regulate and that they will be very transparent about any throttling or prioritizing. However, it is likely that they will slowly decrease net neutrality, making a significant difference in user experience over the course of several months. However, the end of net neutrality is not set-in-stone. The FCC is an administrative body. It has the power to create acts, such as the Restoring Internet Freedom Act, but these acts must comply with all federal laws. Therefore, Congress has the power to pass a law guaranteeing net neutrality. There has been tremendous voter support for Congress to do so, but Congress has not responded. Rather than voting against net neutrality, the issue, which has become partisan, has largely been avoided by the Republican controlled House and Senate both refusing to vote on the issue. As of May 18, 2018, House Democrats were attempting to force a vote on net neutrality (Brandon, 2018). Brandon, Russell. “House Democrats Are Collecting Signatures to Force a Vote on Net Neutrality.” The Verge. 18 May 2018. https://www.theverge.com/2018/5/18/17352480/house-democrats-net-neutrality-vote. Accessed 21 May 2018. Horaczek, Stan. “Net Neutrality: Where Do We Go from Here?” Popular Science. 1 March https://www.popsci.com/net-neutrality-dead-what-happens-now. Accessed 21 May 2018. Neidig, Harper. “Poll: 83 Percent of Voters Support Keeping FCC’s Net Neutrality Rules.” The Hill. 12 Dec. 2017. http://thehill.com/policy/technology/364528-poll-83-percent-of-voters-support-keeping-fccs-net-neutrality-rules. Accessed 21 May 2018. Pogue, David. “The Net Neutrality Debate in 2 Minutes or Less.” Scientific American. 1 April https://www.scientificamerican.com/article/the-net-neutrality-debate-in-2-minutes-or-less/. Accessed 21 May 2018. Wikipedia. “Net Neutrality.” Wikipedia. 21 May 2018. https://en.wikipedia.org/wiki/Net_neutrality#Legal_aspects. Accessed 21 May 2018. Despite large scale public protest, the FCC implemented the Restoring Internet Freedom Act, which restores the ability of ISPs to throttle, block, and prioritize internet traffic, reclassifies broadband providers as information providers instead of telecommunications providers, and reduces regulation on ISPs. Congress has not responded to voter efforts to change the laws that would allow the FCC to implement this rule change. Although there are still some efforts to prevent this new rule from going into effect, the likelihood that the efforts will be successful prior to the June 2018 implementation of the Restoring Internet Freedom Act seems unlikely. However, because the story is still developing, you should check for any updates occurring after the date of this publication, May 21, 2018. In addition to providing you with information about net neutrality and the FCC’s efforts to end net neutrality, this essay has also provided you with an example for your own academic essay on net neutrality. In it, you have seen how to structure an academic essay, how to quote sources, how to properly cite sources, and how to create your works cited page. If you have any additional questions about academic writing or net neutrality, please contact us. "Net Neutrality Essay (Free Example)." Aceyourpaper.com. Student Network Resources Inc, 23 May. 2018. Web. 19 April 2019. Student Network Resources Inc. "Net Neutrality Essay (Free Example)." Aceyourpaper.com. https://www.aceyourpaper.com/essay/net-neutrality-essay/ (accessed April 19, 2019).